Algarve private taxis travelling back and forth Praia da Luz and Faro airport. Quality transportation service, FAO certified transfer provider. How far? 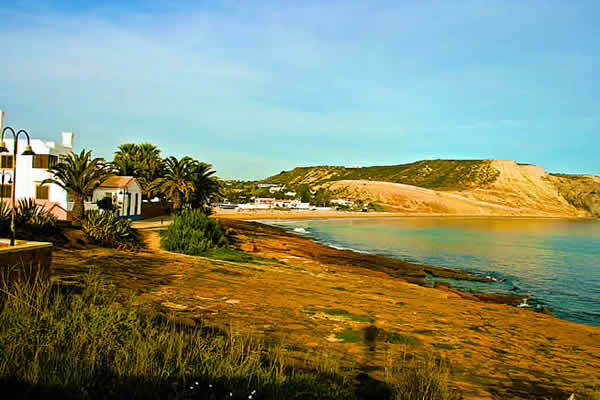 Travel distance from Faro airport to Praia da Luz is 88 Km. How long? Travel time between Faro airport and Praia da Luz takes approximately 85 min. How much? Private transfer prices from Faro airport to Praia da Luz starting at 66€ per vehicle. 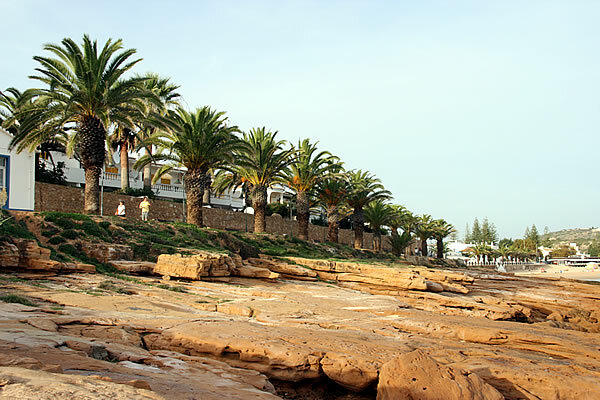 Will you be visiting Praia da Luz soon? Looking for a cost effective transfer from Faro Airport to Praia da Luz? Algarserra company provides all kind of transport from and to Praia da Luz. We are specialists in private transfers between Faro Airport and any holiday resort, hotel or private villa in the Algarve. Unlike a normal taxi service to Praia da Luz, with Algarserra you have the ability to pre-select the vehicle according to your transfer requirements. We operate our own fleet and chauffeurs - no middlemen involved when dealing with us. Mercedes and Ford sedans, estates, MPVs, vans, mini-buses and coaches capable of dealing with specific client needs and transportation scenarios such as airport transfers, golf transfers, theme park transfers or other private transportation services. If you need to get from Faro Airport to Praia da Luz or to move around the Algarve you can count on a company with two decades of experience in the field. When compared to normal taxi fares to Praia da Luz you will notice that our prices are very affordable considering the service quality and type of transport we provide. Unlike regular taxis our prices have fixed rates, regardless of traffic conditions and pickup hours. In contrast with a public bus or shuttle service you will get a private, door-to-door transfer instead. Algarserra has several transport options to Praia da Luz, suitable for all budgets and group sizes. Choose the transfer vehicle that best suits your needs. A driver will meet and greet you at Faro Airport. The travel itinerary shown in the map below may change according to your accommodation address in the Praia da Luz area, traffic conditions specific and schedule requirements. Algarserra's attention to customer satisfaction is backed up by positive reviews. With near two decades of experience providing transfers from Faro airport to Praia da Luz, we keep feeding our service with client comments and reviews. Apart from client's feedback sent directly to us, currently we also use several independent digital platforms to pull together thoughts and concerns from our customers. Service quality will be remembered long after the price is forgotten. On time collection from airport and villa, very smart, professional and friendly drivers, comfortable cars and smooth journey. Thank you. Online booking was easier than I had imagined. I got reminders both by email and text which were great. Both Carlton on the outbound journey and Luis on our return journey were polite, smart, courteous and helpful. Both were on time and both vehicles were clean and had air conditioning which was fabulous. Carlton had to wait at the airport for quite some time due to baggage handling delays and he was still visible at the designated waiting spot and didn't complain at all. I would definitely use your service again. I have left good reviews on Tripadvisor too, Thanks. Consistently first class in every respect having used many times. We were met at the airport as soon as we arrived. The driver was pleasant and drove carefully to our hotel. He only delayed arrival by a few minutes as he got a bit mixed up with the streets in Luz. We would recommend your excellent service. We knew Carlos our driver as he has brought us from the airport last week. Very good driver and also a bit of fun. Excellent service, friendly polite drivers. Will use again and recommend to others. Hi there. your website is very easy to use. Your vehicles where clean and very comfortable. Both drivers where good nothing was to much trouble and both where right on time. I would recommend your company to all of my friends. Many thanks! 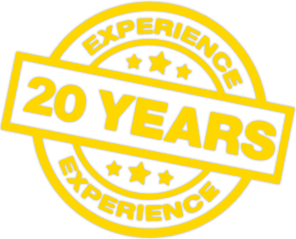 Excellent, reliable service, courteous drivers and comfortable vehicles. I would definitely recommend and will use again. Absolutely perfect. Great drivers, lovely cars, on-time and a brilliant service. You couldn't have done any better.